ahead with the process of suspending Catalan autonomy and the powers of the local government, after Regional President Carles Puigdemont for the second time in four days refused to comply with a Spanish ultimatum to clearly drop his claim to independence. Spain deployed the ultimate constitutional weapon after Puigdemont said the regional parliament may declare independence unless the government in Madrid agrees to talks. Puigdemont’s response came to an ultimatum from Madrid to renounce his claims to full autonomy by Thursday or face the consequences. "It's not that difficult to reply to the question”, but there is still no definitive “yes” or “no”. Consequently, Madrid is poised to trigger Article 155 this Saturday, suspending the autonomy of the breakaway region. Puigdemont had sent a new letter to Mariano Rajoy minutes before the second Article 155 deadline ran out at 10 a.m. on Thursday morning. That new letter did not provide the clarity the central government was seeking about the status of the independence of Catalonia, the Spanish Prime Minister's office said. 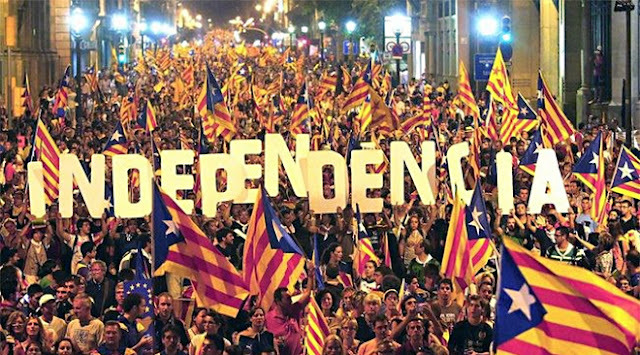 Again, I note, Catalonian independence would not be good for those in Catalonia who seek freedom. All indications are that a separate Catalonian government would be much more oppressive. That said, looking in from the outside, secessionist activities do encourage secessionist movements in other regions. But the question must always be asked: Will secession lead to less oppression or more? "But the question must always be asked: Will secession lead to less oppression or more?" <---this is why I visit EPJ. Certainly the evidence exists that they would TRY to be more oppressive if given the chance. Still, I am reminded of the history of Vietnam, where the north was victorious, but communism failed (as it always does). I hope in 150 years there is no need for a Thomas DiLorenzo vs. Henry Jaffa debate about Rajoy. You're right, will secession lead to a succession of secession or will it lead to oppression?